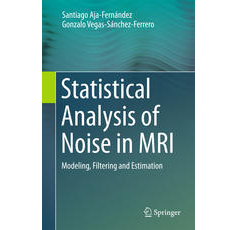 Vegas-Sanchez-Ferrero, G., A. Tristán-Vega, L. Cordero-Grande, P. Casaseca-de-la-Higuera, S. Aja-Fernández, M. Martin-Fernandez, and C. Alberola-Lopez, "Strain Rate Tensor estimation in cine cardiac MRI based on elastic image registration", Computer Vision and Pattern Recognition Workshops, 2008. CVPRW'08. IEEE Computer Society Conference on: IEEE, pp. 1–6, 2008.
de Luis-Garcia, R., R. Deriche, and C. Alberola-Lopez, "Texture and color segmentation based on the combined use of the structure tensor and the image components", Signal Processing, vol. 88, no. 4: Elsevier, pp. 776–795, 2008. Aja-Fernández, S., and K. Krissian, "An unbiased Non-Local Means scheme for DWI filtering", Proceedings of the Medical Image Computing and Computer Assisted Intervention: Workshop on Computational Diffusion MRI, pp. 277–284, 2008.
de Luis-Garcia, R., S. Aja-Fernández, R. Cárdenes-Almeida, M. Martin-Fernandez, and C. Alberola-Lopez, "Analysis of Ultrasound Images Based on Local Statistics. Application to the Diagnosis of Developmental Dysplasia of the Hip", Ultrasonics Symposium, 2007. IEEE: IEEE, pp. 2531–2534, 2007. Aksoy, M., N. Avcu, S. Merino-Caviedes, E. Deniz Diktas, M. Angel Martin-Fernandez, S. Girgin, I. Marras, E. Muñoz-Moreno, E. Tekeli, and B. Acar, "DTI Application with Haptic Interfaces", Proc. eNTER-FACE, vol. 7, pp. 1–9, 2007. Bouix, S., M. Martin-Fernandez, L. Ungar, M. Nakamura, M-S. Koo, R. W. McCarley, and M. E. Shenton, "On evaluating brain tissue classifiers without a ground truth", Neuroimage, vol. 36, no. 4: Academic Press, pp. 1207–1224, 2007. Tristán-Vega, A., and J. I. Arribas, "A fast B-spline pseudo-inversion algorithm for consistent image registration", Lecture Notes in Computer Science (including subseries Lecture Notes in Artificial Intelligence and Lecture Notes in Bioinformatics), vol. 4673 LNCS, pp. 768-775, 2007.
de Luis-Garcia, R., and C. Alberola-Lopez, "General Medical Image Computing–I-Mixtures of Gaussians on Tensor Fields for DT-MRI Segmentation", Lecture Notes in Computer Science, vol. 4791: Berlin: Springer-Verlag, 1973-, pp. 319–326, 2007.
de Luis-Garcia, R., and C. Alberola-Lopez, "Mixtures of gaussians on tensor fields for DT-MRI segmentation", Medical Image Computing and Computer-Assisted Intervention–MICCAI 2007: Springer, pp. 319–326, 2007. Cárdenes-Almeida, R., M. Bach, Y. Chi, I. Marras, R. de Luis-Garcia, M. Anderson, P. Cashman, and M. Bultelle, "Multimodal evaluation for medical image segmentation", Computer Analysis of Images and Patterns: Springer, 2007. San-Jose-Revuelta, L. Miguel, M. Martin-Fernandez, and C. Alberola-Lopez, "Neural Network-Assisted Fiber Tracking of Synthetic and White Matter DT-MR Images. ", World Congress on Engineering, pp. 618–623, 2007. San-Jose-Revuelta, L. Miguel, M. Martin-Fernandez, and C. Alberola-Lopez, "A new proposal for 3D fiber tracking in synthetic diffusion tensor magnetic resonance images", Signal Processing and Its Applications, 2007. ISSPA 2007. 9th International Symposium on: IEEE, pp. 1–4, 2007. Niethammer, M., S. Bouix, S. Aja-Fernández, C-F. Westin, and M. E. Shenton, "Outlier rejection for diffusion weighted imaging", Medical Image Computing and Computer-Assisted Intervention–MICCAI 2007: Springer Berlin Heidelberg, pp. 161–168, 2007. Martin-Fernandez, M., R. Cárdenes-Almeida, and C. Alberola-Lopez, "Parameter Estimation of the Homodyned K Distribution Based on Signal to Noise Ratio", Ultrasonics Symposium, 2007. IEEE: IEEE, pp. 158–161, 2007. Martin-Fernandez, M., C. Alberola-Lopez, J. Ruiz-Alzola, and C-F. Westin, "Sequential anisotropic Wiener filtering applied to 3D MRI data", Magnetic resonance imaging, vol. 25, no. 2: Elsevier, pp. 278–292, 2007. Aja-Fernández, S., C. Alberola-Lopez, and C-F. Westin, "Signal LMMSE estimation from multiple samples in MRI and DT-MRI", Medical Image Computing and Computer-Assisted Intervention–MICCAI 2007: Springer Berlin Heidelberg, pp. 368–375, 2007. Sanchez-Ferrero, G. V., and J. I. Arribas, "A statistical-genetic algorithm to select the most significant features in mammograms", Lecture Notes in Computer Science (including subseries Lecture Notes in Artificial Intelligence and Lecture Notes in Bioinformatics), vol. 4673 LNCS, pp. 189-196, 2007. Martin-Fernandez, M., L. Cordero-Grande, E. Muñoz-Moreno, and C. Alberola-Lopez, "Techniques in the contour detection of kidneys and their applications", World Scientific Publishing Company, pp. 381–398, 2007. Aja-Fernández, S., M. Martin-Fernandez, and C. Alberola-Lopez, "Tissue identification in ultrasound images using rayleigh local parameter estimation", Bioinformatics and Bioengineering, 2007. BIBE 2007. Proceedings of the 7th IEEE International Conference on: IEEE, pp. 1129–1133, 2007. González, J., D. Sosa-Cabrera, M. Ortega, J. Antonio Gil, A. Tristán-Vega, E. Muñoz-Moreno, and R. de Luis-Garcia, "Ultrasound Based Intraoperative Brain Shift Correction", Ultrasonics Symposium, 2007. IEEE: IEEE, 2007. Cárdenes-Almeida, R., A. Tristán-Vega, GVS. Ferrero, and S. Aja-Fernández, "Usimagtool: an open source freeware software for ultrasound imaging and elastography", International Work on Multimodal Interfaces, eNTERFACE, Istambul, Turkey, pp. 117–127, 2007. Cordero-Grande, L., P. Casaseca-de-la-Higuera, M. Martin-Fernandez, and C. Alberola-Lopez, "Endocardium and epicardium contour modeling based on Markov random fields and active contours", Engineering in Medicine and Biology Society, 2006. EMBS'06. 28th Annual International Conference of the IEEE: IEEE, pp. 928–931, 2006. Arribas, J. I., J. Cid-Sueiro, and C. Alberola-Lopez, "Estimation of Posterior Probabilities with Neural Networks: Application to Microcalcification Detection in Breast Cancer Diagnosis", Handbook of Neural Engineering: John Wiley & Sons, Inc., pp. 41-58, 2006. Aja-Fernández, S., and C. Alberola-Lopez, "On the estimation of the coefficient of variation for anisotropic diffusion speckle filtering", Image Processing, IEEE Transactions on, vol. 15, no. 9: IEEE, pp. 2694–2701, 2006. Aja-Fernández, S., and C. Alberola-Lopez, "Fuzzy feedback system analysis using transition matrices", Fuzzy sets and systems, vol. 157, no. 4: Elsevier, pp. 516–543, 2006.